On Monday November 24th the MIL students and I visited Phelan Corrimal at Rockcliffe University. The Rockcliffe University Consortium is a distance learning organization servicing worldwide virtual learners and businesses. 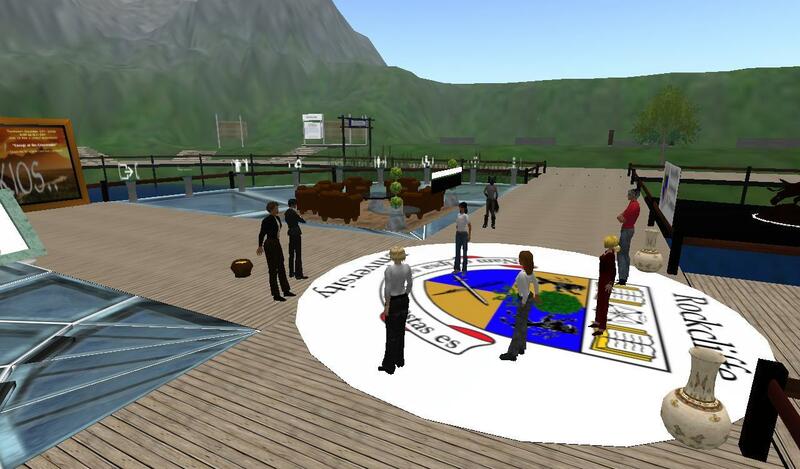 Located in Canada, the United States and the metaverse Rockcliffe University Consortium provides education, training and real time collaboration for its virtual members by incorporating interactive 3D immersive learning environments. Rockcliffe also is one of the Metanomics partners hosting part of the community on Mondays. 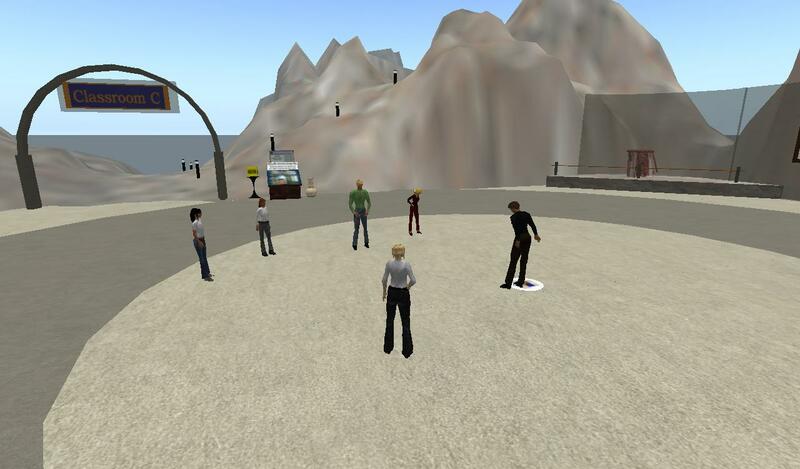 Phelan is the President of Rockcliffe and is a very experienced in-world resident, so it was a great privilege that he took the time to share some of his thought on metaverse-based education and give us a tour to some of the locations on Rockcliffe’s many islands. 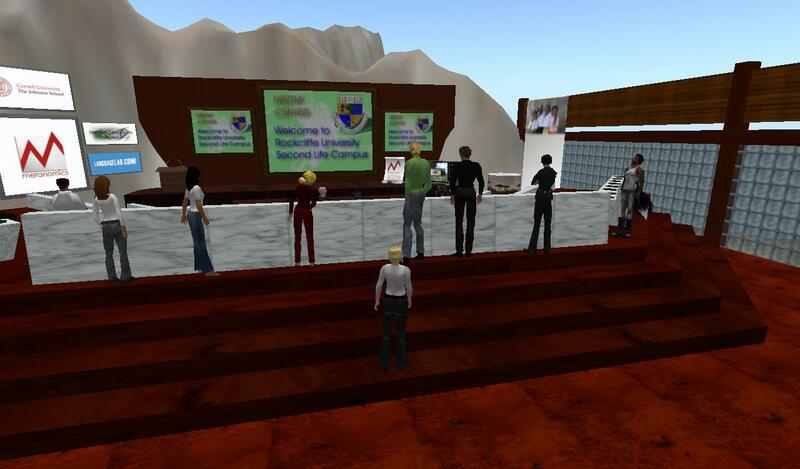 One of the topics Phelan talked about was how to create sustainable education in the metaverse. Unlike other in-world projects Rockcliffe isn’t funded by organizations or sponsors and developing a sustainable economy is one of the biggest challenges Phelan and his staff are facing. We discussed the possibility of having open classes with the option to buy some sort of certification, diploma or the like afterwards. It’s my impression that Phelan very much would like to employ a temporary kind of open-content’ish principle to their in-world work, but that’s easier said than done! Phelan had been attending the E-Learn World Conference in Las Vegas a few days before meeting us, and as he explained his head was filled with lots of inspiration. One of these sources of inspiration was Constance Steinkuehler (though I’m not sure she attended the above mentioned conference), who has done extensive research into MMOs, including learning potentials, cognitive theory and media literacy. 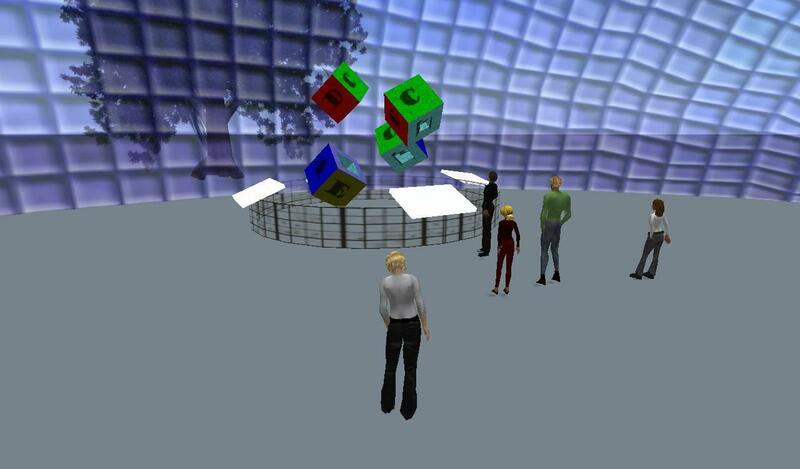 Apparently she’s also looking at Second Life and explores the “3rd Places” concept in that context. As far as I know, the concept of “3rd Places” was coined by Ray Oldenburg in his book The Great Good Place, and can be used to define places where we gather publicly to facilitate and strengthen local democracy and community. Both references surely need a closer investigation in the future. 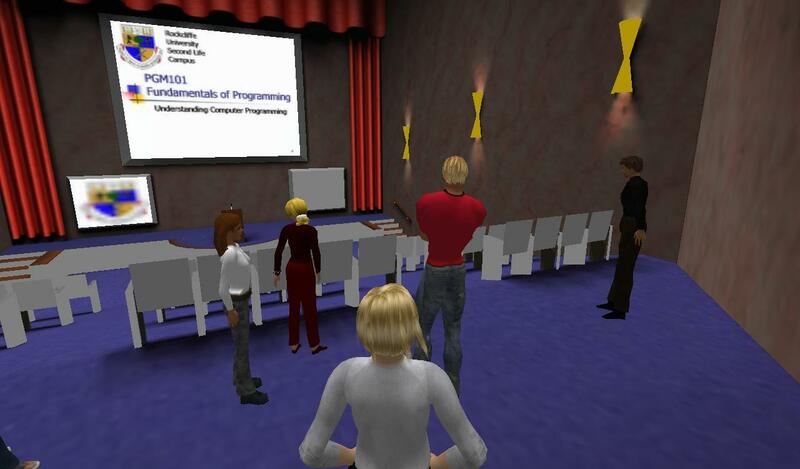 We ended the tour in one of the less traditional classroom settings where Phelan and his staff have experimented with building interactive learning objects – some of them supplemented by both text and voice-over instructions. Some of the courses at Rockcliffe are designed to learn building in-world and this is one of the areas used for that, including a large sandbox. This is also one of the areas that Phelan hopes to find time to expand and further develop in the future.